Chris: In 1996, a new species of hammerhead sharks were discovered off the coast of North Carolina. These sharks are exactly like other hammerheads, except they have two legs and feet, rather than a tail, and primarily choose to avoid water, preferring instead to play soccer on dry land. Other than that these sharks are exactly like those seen on the Discovery Channel. Joe: The Wilmington Hammerheads are a professional American soccer team based in Wilmington, N.C., and have brought a championship to Wilmington. This sports franchise has been a great addition to the area. Brad: The Wilmington Hammerheads are a really good community organization. They are a loved part of the life of the town. They have a great youth program, too. The Hammerheads are more popular than the Great Whites because the GW's keep eating all their fans! Ralphie: I'm not a soccer fan, so I really don't really know a whole lot about the Wilmington Hammerheads. Their logo, uniform, and colors are all perfect for a team with an ocean theme. Joe: The Wilmington Hammerheads’ logo is a really great design and very recognizable. The Wilmington Hammerheads' home uniforms are good looking, and the colors do a double job of relating to fans, as they are a good coastal blue and North Carolina blue. The away uni's are just so so. Brad: I think the Hammerheads' logo is pretty cool looking, but I think the light blue and white aren't very intimidating, kind of like soccer jail uniforms. But the blue and white do go with the shark theme. 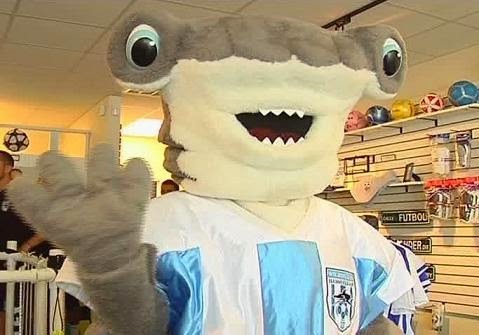 Joe: The Wilmington Hammerheads’ mascot, Sledge, is a unique mascot in professional sports. I like it because it is a hammerhead, and the name Sledge is cool. The Wilmington Hammerhead mascot is not necessarily scary but is very strange. I think smaller children could be very intimidated by the scary mascot. Brad: Sledge is big and goofy and lots of fun. He is definitely more silly than scary! Chris: I don’t know how Sledge ranks when compared to other mascots in this category, but I would not want to wake up in the middle of the night to see him standing beside my bed. Brad: Why do hammerhead sharks get along with vampires? Because they both hunt at night and feed off their own species. Ralphie: Sledge is pretty goofy-looking. He's not scary, but he's definitely weird-looking. Joe: Hammerhead sharks are unique and possess a strange eye arrangement that allow them to see 360 degrees. They can grow to 19 feet in length. Chris: Hammerhead sharks supposedly have really good stereoscopic and binocular vision, though I have no idea what that means. I get the feeling it implies that hammerheads don’t frequent the optometrist, which is fortunate, considering how large a pair of glasses would be to fit a hammerhead’s head. And a further challenge would be getting the glasses to stay on their head, considering they have no ears. Ralphie: The coolest thing about hammerhead sharks is that they can get a suntan. They're one of the only animals that can, too! Brad: Why was there a two-hour wait at the tanning salon? Because the hammerhead sharks like to tan, too. Joe: I think the Wilmimgton Hammerheads should come up with a digital special effect for each goal scored. The effect would be a hammerhead "Sledge hammering the ball," complete with fireworks and a bell ringing, like the old carnival game of sledge-hammering a lever to make the striker climb the column and strike the bell. Chris: I would think MC Hammer’s music should play a prominent part of every Hammerheads’ match, including the traditional procession to begin each game. 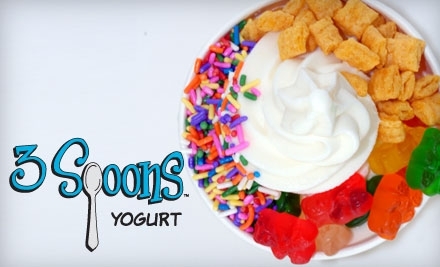 Brad: Contest options would be as endless as the ocean: bring a shark, get in free; mini shark bites for the kids; mechanical hammerhead ride for adults; fish n’ chips eating contests. I would have a seaside shark-themed amusement park complete, with Hammerhead coasters and chum tea cups. A seahorse merry-go-round. Swimming with the fishes. Ralphie: They could have seafood-eating contests or even a goofiest tan line contest. Joe: Also, I would use lighting effects to show blood on the field after the Hammerheads have scored a goal. Chris: While there are rare instances of a hammerhead shark biting a human, there is no record of one ever killing a human, which means Luis Suarez is more likely to kill someone than a hammerhead shark is. To keep this record intact, I would avoid signing Suarez if I were the Hammerheads’ general manager . . . even if he was willing to play for free . . . while dressed in a shark costume. It would only add to the misconceptions about hammerheads. Brad: Why are mom hammerheads always tired? You'd be tired too if you had 25 kids or more.